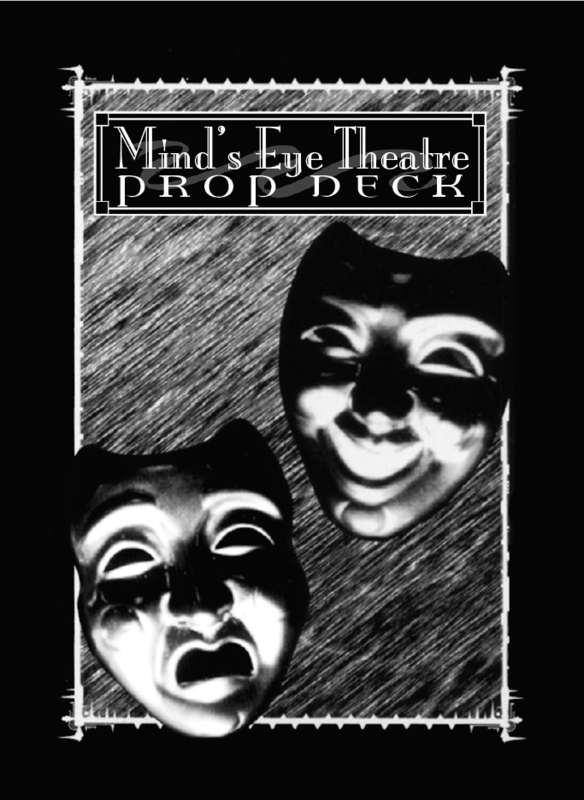 Very few games seek to redefine the conventions of roleplaying as does the Mind's Eye Theatre line. There are no tables or dice involved in Mind's Eye Theatre games. Instead, you become a part of the story. You assume the role of your character as soon as you step through the door, enacting every action, movement and gesture. For the purposes of the game, you are your character. This is a deck of cards used in live action role-playing. 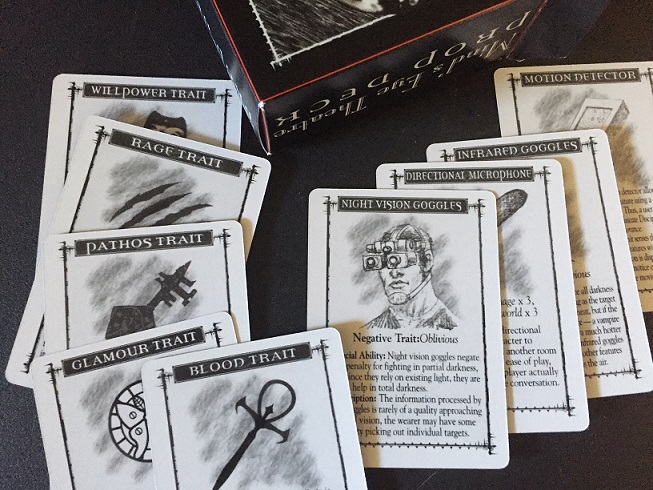 It contains 98 cards for use with various White Wolf Mind's eye Theatre games such as Vampire, Werewolf, Mage, Faerie and Wraith. Each card is illustrated and includes stats and information on the item in question. Also included are Blood, Rage, Gnosis, Pathos, Glamour and Willpower traits. This deck is a companion to Laws of the Night Revised, Laws of the Wild Revised, Laws of Ascension, The Shining Host, and Oblivion. As the Review point out these are designed for the OLD MET rule system.